Is anything better than the sinfully sweet taste of strawberries and chocolate together? You can dive into that experience with Chocolate Strawberry flavored coffee. 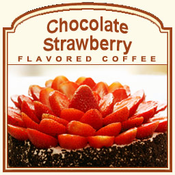 With 100% Arabica beans, this Chocolate Strawberry creation features full flavors of plump strawberries, smooth, creamy dark chocolate, and a hint of cream. Each cup may only have 2 calories, but this treat is surely decadent in its intense flavor. A heat-sealed valve bag will ensure the freshest coffee possible, which will be roasted and shipped on the same day. 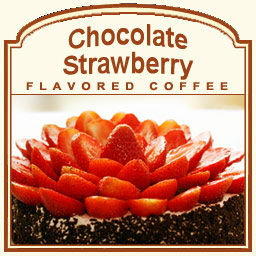 Thick and delicious in its Chocolate Strawberry flavor, this coffee will make your taste buds sing with happiness. Savory and warm in its sweetness, you can expect this Chocolate Strawberry to taste delicious from the first sip to the very last drop.